Since Seattle forced a raise in its minimum wage to $15 small businesses, especially restaurants, have been closing all across the city because they just can’t afford the new wage and stay open. Higher minimum wages always seem like a great idea to people as a general idea. Unfortunately, in real life forced higher minimum wages are disastrous for all small businesses and Seattle is a perfect example of why it is a bad, bad idea. The truth is, businesses that can pay more often do. But when a government swoops in and demands that businesses pay more it is the death knell for the business sector. But here is another thing for you all to think about…. Obama has been running around saying that higher minimum wages would be a “raise for America.” This is populist bull hockey. 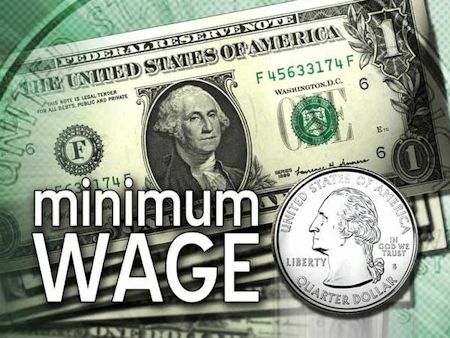 Only 2.6 percent of the country works for minimum wage pay scale. Further, most people who make that wage are in transitory jobs that they never keep for long. According to the federal government there are 120.18 million workers in the USA. Of that number only 1.532 million are paid the minimum wage. So, that means a forced hike in the minimum wage makes us all pay higher prices, but only benefits a tiny, tiny number of workers. Lastly, by what Constitutional rule does government think it can tell business what it must pay people, anyway?